Albany (known variously as King George’s Sound and Frederickstown) had a military presence many years before the Royal Sappers and Miners and their Royal Engineer officers arrived in the Colony in three contingents in 1850, 1851 and 1852 making up a Company of 100 men. Later, there were ‘top ups’ required, but this was after the Albany Depot had closed. 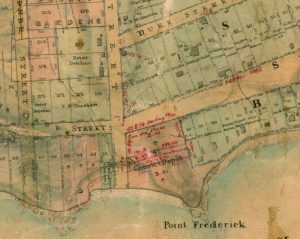 Matthew Flinders stopped by in 1801 and camped at what was later named Point Frederick, but he didn’t feel the need to stake a claim with a display of the Colours, nor to fire a ‘feu de joie’. That formal celebratory rifle salute, ironically expressed in French, was left to Major Edmund Lockyer (57th Regiment) to complete on 21st January 1827 – his 43rd birthday. It was an important part of his orders from Governor R A Darling in New South Wales to secure New Holland for colonisation – hopefully before the French could do so. The soldiers on board the Amity were Captain Joseph Wakefield of 39th Regiment and 19 of his troops. They anchored in Princess Royal Harbour at daybreak on 26th December 1826. On 29th January 1831, a lieutenant, a sergeant and 20 troops from the 63rd Regiment arrived to augment troops at the Swan River Colony; from these men some would relieve the 39th Regiment troops when the latter returned to Sydney on Isabella in March that year. 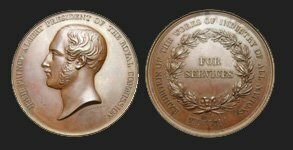 The 63rd, 21st, 51st, 96th and 99th continued a military presence in Albany until 1851 with an average of one officer and one sergeant, and a maximum of 21 and minimum of six other ranks throughout those 20 years. In November 1851, a number of ticket of leave convicts were sent from Fremantle to Albany . 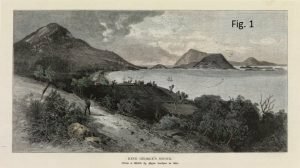 Their main function was to find employment with the labour-starved settlers and to provide public works on the Albany-Perth Road, bridging the King and Kalgan Rivers and building a jetty into the harbour. But firstly their own accommodation – a temporary Convict Depot – had to be secured. This took the form of ‘rented accommodation in the town’ [Horton:3]. A detachment from the Enrolled Pensioner Force was dispatched at the same time as the convicts. 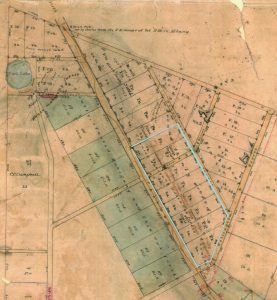 In January 1852 they applied for land, and Asssistant Surveyor Philip Chauncey marked out 28 three-acre lots accordingly. At some point Lots P1 – P8 were marked in the map (faintly in red). 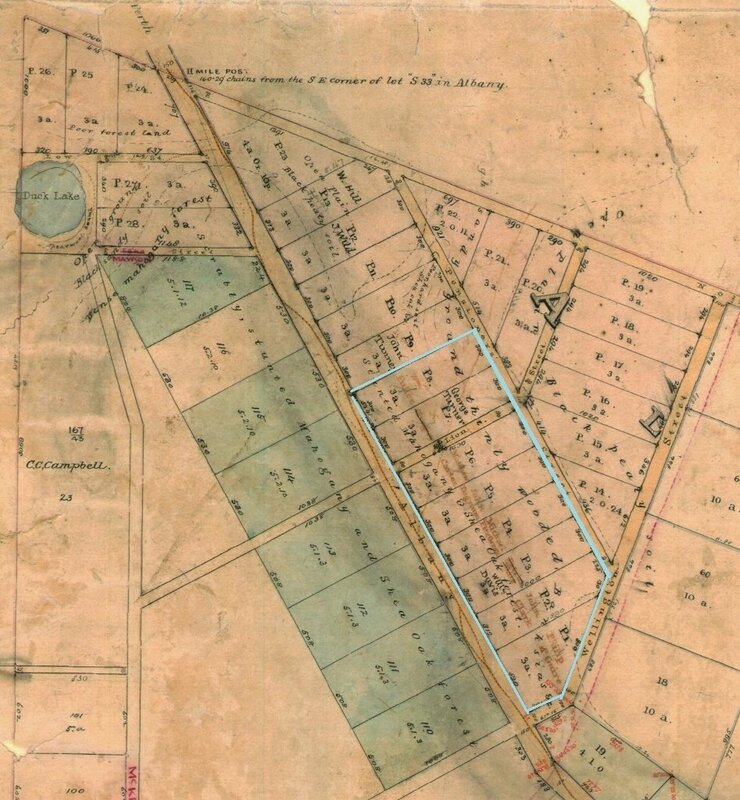 These lots were between Pensioners Street and the Perth-Albany Road. Michael Fitzgerald is the only man who appears to have applied for the title to his land grant. The remaining Lots were assigned to other enrolled pensioners or their widows later. The next arrivals were Sappers and Miners on the ship Anna Robertson in December 1851. Four of the privates would be the first men on station in King George’s Sound; but not quite yet. Lieutenant William Crossman, the officer in charge to be appointed for the Convict Depot, did not arrive until January 1852, on the convict ship Marion; a private (Mellluish) destined for Albany was also on board Marion. The February 1852 Musters & Pay Lists indicate that Privates James Holton (a mason), William Melluish (carpenter), James Keir (smith), John Marlow (bricklayer) and William Ruse (mason) were at King George’s Sound ready to take up their roles as Instructing Warders. 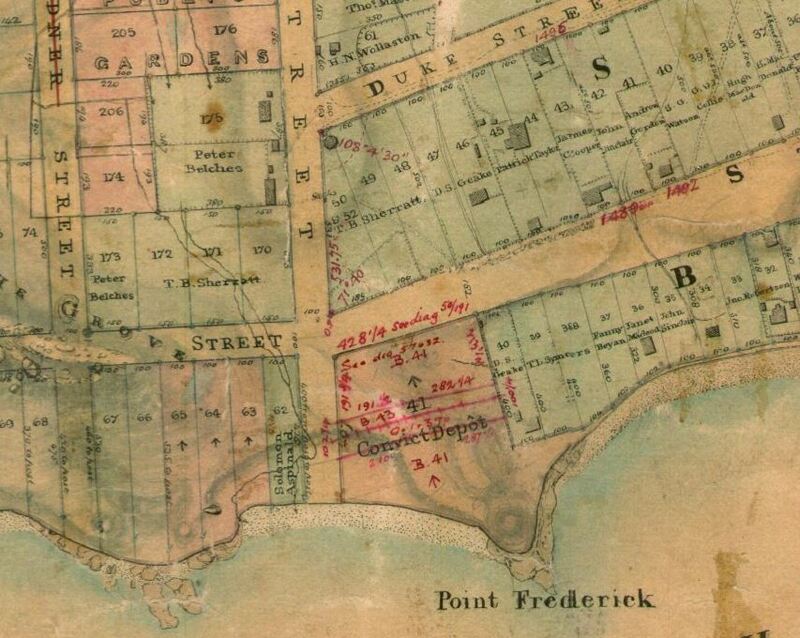 The area around Point Frederick was selected – fifty years after Flinders and twenty-five years after Lockyer – as best suited to use as a convict depot. Captain E Y W Henderson, Comptroller-General of Convicts in his December 1852 report ‘Return of Buildings Erected by the Convict Department since 1st June 1850′ the progress or proposals of works at the various hiring stations. In case of Albany it read, “One Gaol, 12 cells and gaoler’s quarters”. And, optimistically, “Proposed: Depot for 60 men; Warders’ quarters; Cookhouse; Hospital; Superintendent’s quarters. During that first two years at the Albany Outstation (1852 and 1853), Lieutenant Crossman, the man on the ground, had suffered from lack of available labour, “all the men have been taken out of the Depot [for employment by the settlers], and little or nothing has been done beyond carrying on as far as possible the construction of the jail and jailer’s quarters”. Crossman goes on to report lime burning activities by the convicts (superior to the product supplied by contractors); roadworks between the King and Kalgan rivers; the construction of bridges over both rivers (also by contractors); and many miles of roads opened up, so important to the farming of the district. The decision to close the Depot in December 1855, so soon after its completion, must have been a blow to everyone in Albany; it had provided much needed infrastructure and labour for the settlers – farmers and businesses alike. But Britain was in the middle of an expensive war and the depots were expensive to operate; others would also soon be downgraded. 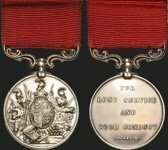 in February 1856 Crossman, Lieutenant Edmund Du Cane (in charge of eastern districts depots), a sergeant and 18 Sappers and Miners, left the Colony for England ostensibly to help the war effort (click here for details). William Melluish, the carpenter mentioned above, remained at the Depot throughout 1856 and 1857 as caretaker, following which he joined others from the 20th Company in constructing the lighthouses at Breaksea and Point King. Melluish discharged from the Army in Fremantle in December 1861 after serving for 21 years. He was one of 27 men from the 20th Company who settled in the Colony and were eligible for £10 remission on 20 acres of land. The Depot was reopened in 1857 when a party of 40 convicts was sent to repair roads and bridges on the mail route from Perth to Albany. During that year the Breaksea Island and Point King lighthouses were completed with stone quarried, timber cut and transported by convict labour. Another Sapper, Sergeant Joseph Nelson, was prominent at Breaksea and Point King as a supervisor of works and/or lighthouse keeper during his time in the Army and after. The Depot became a public gaol under the management of the police in 1864, but ultimately better facilities were required for the Town’s gaol. Something of the scale of the Depot can be seen from this plan (click here to view Fig. 5). The Depot was handed over to the Colonial administration in 1872 and the commissariat buildings altered to accommodate the Albany Resident Magistrate. The new gaol was designed by James Manning at the end of his career as Clerk of Works for the Convict Establishment, and was constructed by J J Harwood, the Fremantle building contractor; it was opened in mid 1873. Now (2019) what remains of the Convict Establishment’s Depot buildings are museums and a significent part of Albany’s tourist attractions. The History of the Albany Convict Gaol, Its Convicts, Gaolers and Warders, Susanne Horton 2008. Building the Fremantle Convict Establishment, Robin McKellar Campbell 2011. The Veterans: a history of the Enrolled Pensioner Force, F H Broomhall 1989. Further correspondence on the subject of Convict Discipline and Transportation, 1852-1855, Volume 6. 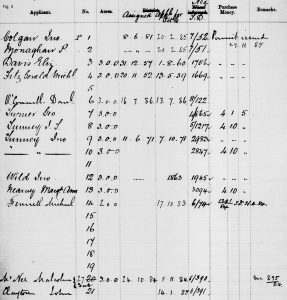 Muster Rolls and Pay Lists WO11-126 December 1851, National Archives, Kew. 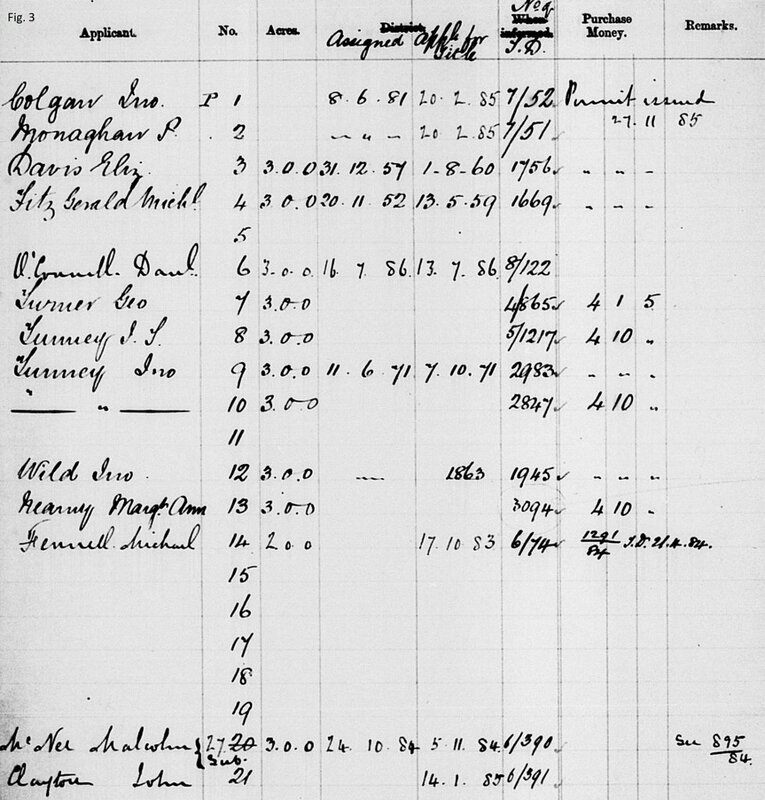 Muster Rolls & Pay Lists WO11-130 October 1851 to January 1852, National Archives, Kew. Fig. 1 King George’s Sound, from a sketch by Major Lockyer 1826, State Library of WA. Fig. 2 Albany Suburban Lots as marked by Philip Chauncy, Assistant Surveyor , WA State Record Office Cons 3868-003. Fig. 3 Albany Pensioner Lands, WA State Record Office Cons 4892. Fig. 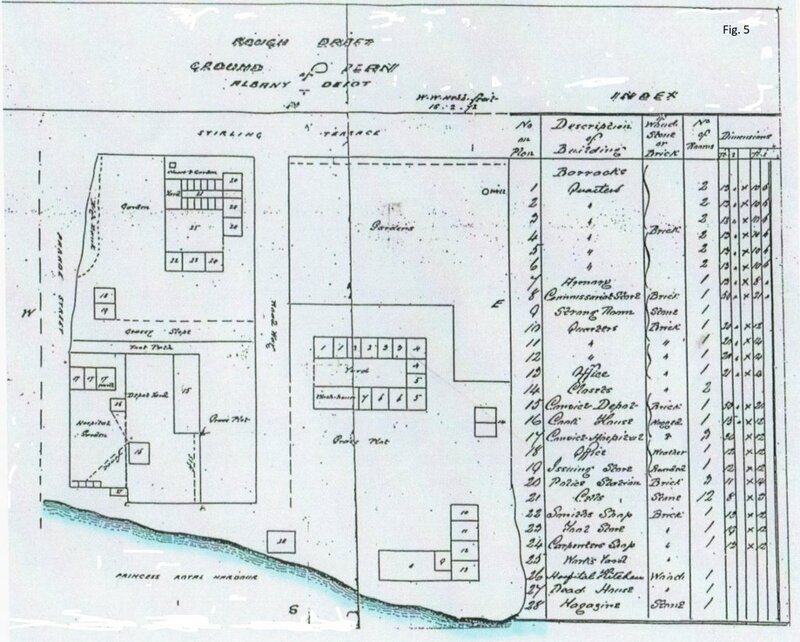 4 Albany Convict Depot 1851 as marked by Philip Chauncy, Assistant Surveyor, WA State Record Office Cons 3868-001. Fig. 5 Plan of Albany Outstation February 1872, WA State Record Office CSR Vol. 725/27.